Bed was stinking and Bed Linens were dirty and filthy. There was no Breakfast available. I can not say anything which I liked there. I will never visit or recommend this hotel again. Room was super spacious and the hotel is generally alright but a bit old and overpriced for what it is. However, excellent location, and cool rooftop bar with a nice view of the city. Location is quite convenient. Beds are large and comfortable. The room is quite big and convenient, rather clean. Staff was very friendly and helpful. Allowed to stay a couple of hours more free of charge, avoiding me a long wait in the airport. The hotel' s location is super. The staff here are exemplary. 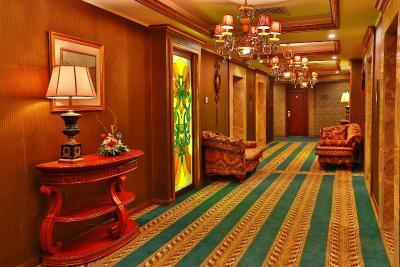 The hotel has a very international feel, there are are more international guests here than many other hotels in the area. Free use of the adjacent Bali Spa is great. Every time I'm in Astana, I come to The Diplomat. The Bali Spa has great massages and is great value. The apartment we booked was very nice, spacious. There are all practical tools you need (eg. cork-screw). We got a complimentary bottle of Russian Champagne with a fruit salad. There is a non-stop restaurant/bar. The breakfast was delivered to the room. Wi-fi works great. Nice spa centre just 50 meters from the hotel (entrance is free for hotel guests). Great location. Fabulous spa with small gym just around the corner. New Years Champaigne and fruit plate from hotel. Clean room. Helpful friendly stuff. Diplomat Hotel and Business Center This rating is a reflection of how the property compares to the industry standard when it comes to price, facilities and services available. It's based on a self-evaluation by the property. Use this rating to help choose your stay! 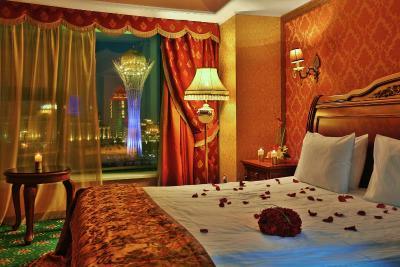 One of our top picks in Astana.Located in the center of Astana City, Diplomat Hotel and Business Center features a spa center with a gym, a swimming pool and a sauna. Free WiFi is provided. 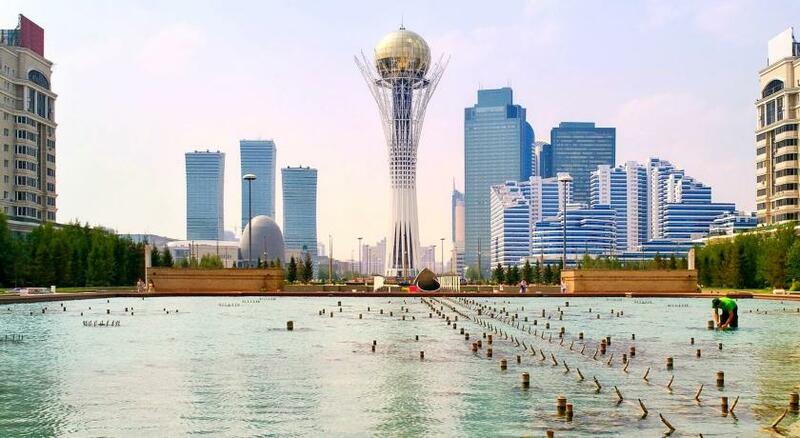 Astana International Airport is only a 10-minute drive away. Behind a rounded, modern façade the Diplomat Hotel & Business Center offers stylish, classic-style rooms with warm colors and tall windows with panoramic views. 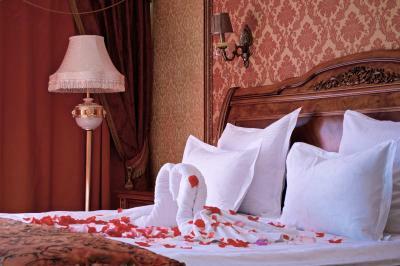 All air-conditioned rooms include cable TV, seating area, mini-bar and complimentary bathrobe. A buffet breakfast is served every morning in the Diplomat’s restaurant. 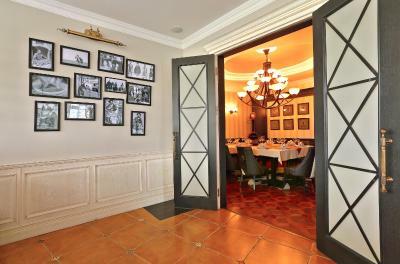 4 on-site restaurants offer dishes of Kazakh, Argentinian, Chinese, Japanese and European cuisine. 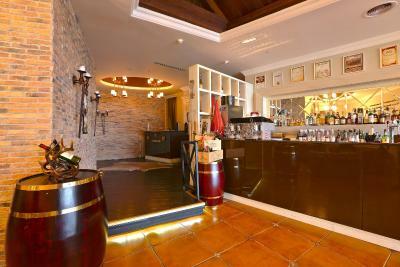 The lobby bar with a fireplace, located on the ground floor, serves a variety of drinks, snacks and main dishes. 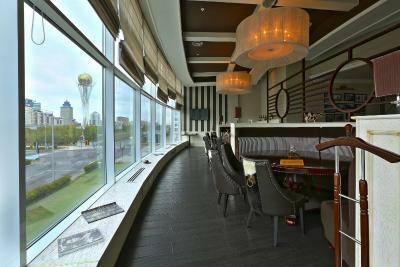 Facilities at the Diplomat Hotel Astana include a luggage storage and concierge service. A tour desk and childcare services are also available. 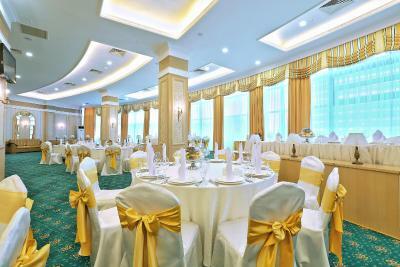 The meeting and banquet facilities can fit up to 250 people. The Baiterek Tower, Singing Fountain and Watergreen Boulevard are all within 1,650 feet of the Diplomat Hotel & Business Center. Several shopping malls are also nearby. 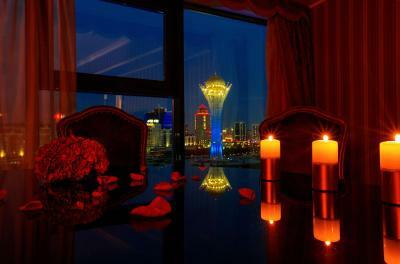 This is our guests' favorite part of Astana, according to independent reviews. 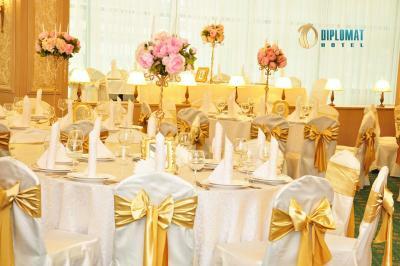 When would you like to stay at Diplomat Hotel and Business Center? This air-conditioned room comes with a flat-screen TV, mini-bar and sofa. Also features additional toilet. 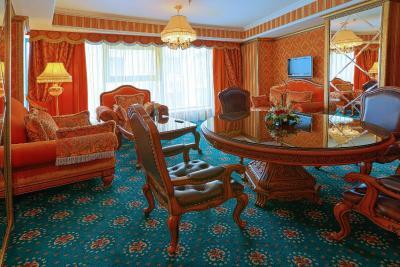 This air-conditioned suite comes with a flat-screen TV, mini-bar and sofa. Also features additional toilet. This suite features a cable TV, seating area and bathrobe. This double room features a bathrobe, soundproofing and tile/marble floor. This double room has a mini-bar, cable TV and soundproofing. 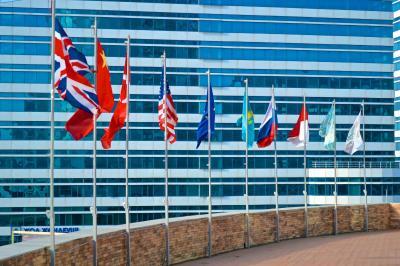 Diplomat Hotel & Business Center in Astana is a First Class full service hotel with excellent location in the city center of the capital. Behind the rounded, modern façade the Diplomat Hotel & Business Center offers large, comfortable and stylish rooms and suites with warm colours and tall windows with panoramic views. 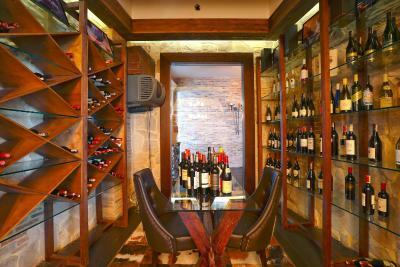 Enjoy superb dining in El Gaucho Argentinian restaurant with carefully selected top class meat, grilled over open fire. On the 21st floor, you will find the DIP Lounge, where we offer an astonishing panoramic view of Astana and Japanese cuisine and selection of inspiring drinks from our Sky Bar. 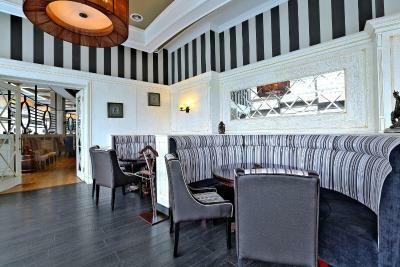 The Lobby Bar is open 24/7 and is the natural meeting venue in the city. Select something to eat from our rich menu or just have a drink and relax while watching the Baiterek Monument just in front of the hotel. 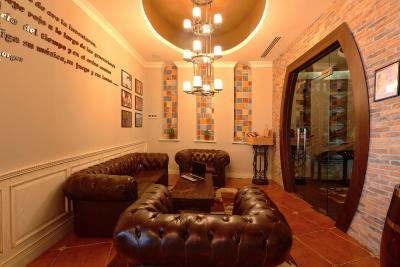 When you feel for some recreation, you have free access to the Bali Spa with gym, pool, saunas and Hamam. In the Bali Spa we are proud to offer various treatments for your body and health with massage and beauty saloon, and refreshing healthy fresh juices from the Bali Spa Bar. 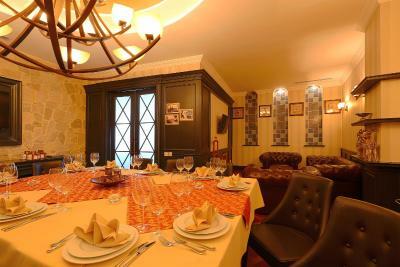 House Rules Diplomat Hotel and Business Center takes special requests – add in the next step! Any additional older children or adults are charged KZT 10000 per night for extra beds. Diplomat Hotel and Business Center accepts these cards and reserves the right to temporarily hold an amount prior to arrival. Please note that the spa center works daily from 07:00 until 00:00. Please inform Diplomat Hotel and Business Center of your expected arrival time in advance. You can use the Special Requests box when booking, or contact the property directly using the contact details in your confirmation. Should have improve better on the breakfast spread. Limited choices. 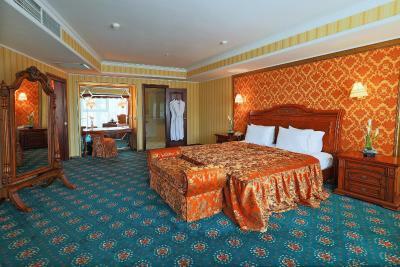 The hotel is well build and equipped, but it is obvious that lately the maintenance is not that good, which is a pity. The bed is not comfortable, breakfast is also below expectations. The staff need to smile. Cool faces are not a good picture for hotel. Variety of Buffet breakfast could be improved. Gym is not in the same building of the hotel. wifi doesnt work in the late evening/night rooms could be less warm. I love the rooms with the view to Bayterek. Hotel needs a full refreshing. Weak breakfast. Oldest bathroom.